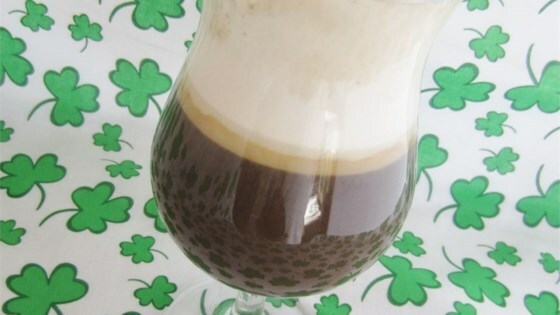 "After downing many an Irish coffee while in Ireland, I adapted this recipe to suit my Northwest coffee loving taste buds!" Pour the espresso into your favorite mug, add Irish whiskey, sugar, tablespoon cream and hot water. Garnish with a dollop of whipped cream. This recipe is the best! I would recommend that you not use your 'best' high-shelf irish whiskey! Save the Bushmill's 12-year-reserve for sipping!